As a kid, I used to love movies that take me to imaginary places. One of my favorites was “Aladdin,” I was fascinated by the concept of teleportation. Aladdin and his friends, with the help of the genie, are capable of instantaneously transporting themselves from China to Morocco and back. Later, “Back to the Future” and “Star Trek” took a more scientific approach of teleportation. Until this moment, I am still waiting for someone to invent teleportation in the REAL world! While waiting, I was lucky enough to work on technologies that could offer us the same teleportation feeling and experience without physically changing our location. Virtual and augmented reality are teleportation engines! How? VR makes you feel as if you are living in another place. It immerses you in an entirely new experience that takes you places and even allows you to be in someone else’s shoes. On the other side, AR allows you to bring objects & characters from another world and merge it within the physical space that you are in at any given moment. In the next few weeks, I will be publishing few blogs on how media & entertainment companies and individuals would be able to take advantage from VR and AR to offer new immersive content, engage with a new audience, stay relevant to the future and to create sustainable businesses. VR & AR could have a significant impact on movies, sports, the music industry, video games, location-based entertainment, cinemas, and most definitely on us, as consumers. Let’s start with Hollywood. As masters of storytelling, we expect movie studios to be in the front line of exploring VR & AR. So far, we have not witnessed yet that piece of content that creates the WOW effect. Let’s analyze that and start with separating VR from AR for now. Short-term opportunities are in content that is mainly CGI based, only because the VR Live action video experience is not yet compelling primarily due to the low image quality when using rigs or cameras to capture visuals. Stitching, streaming, and other technical issues are yet to be solved. However, CGI techniques and content creation tools are ready to create 3D 360 images, videos, and experiences. Unity and Autodesk making it easier to create VR & AR objects originated from FBX files. CGI artists have been creating 360 and 3D content for a while and generating a VR version of that content is technically possible. The challenge is in storytelling. For more than 100 years, creative, directors and producers have mastered story crafting on a rectangular screen, while VR is still in the experimentation phase. It will take some time to see VR in long forms, but having short duration stories is something the industry should focus on for now. Moreover, keep experimenting, please! earlier this year, Felix & Paul studio released a 40 minutes VR film, ‘Miyubi’ is Longest VR Film Yet. We need more! Let’s assume we have content now; the next question will be how we can make this content available for consumers and how we monetize it. VR at home will be the obvious option, but with slow adoption of VR headsets (HMDs), these stories will reach too few people and thus its ROI is not achievable and will be challenging to create a sustainable business. The second and the most promising near-term option will be “Location-Based Entertainment.” Cinema and amusement parks can benefit from the availability of the high-end HMDs such Oculus Rift, HTC Vive, and few other startups such Varjo. Last week, Dreamscape immersive – another high-end VR startup- has announced a $20 million Series B led by AMC theatres, joining other big names such Warner Bros., 21St Century Fox, MGM, IMAX, and Steven Spielberg. Soon we will be able to enjoy VR cinemas and more VR experiences at parks. Other studios, such as Universal, are gearing up to join the game. VR content is also a great marketing tool. Hey, studios! We want to see more behind the scenes, trailers, and short stories in VR and 360 panoramic on social media. 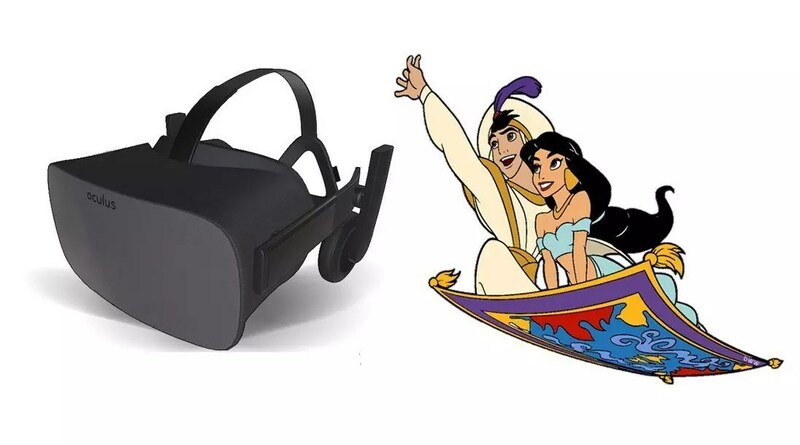 The goal should not be how to create a new VR specific IP, but instead, to understand how VR can considerably enhance an already established IP or a new movie to be released. VR is your next marketing machine to engage with the younger generation. Don’t be afraid. It will not replace box office or affect your licensing deals. It is just a marvelous engagement tool that will bring more people to theaters, and create new opportunities beyond the known ones. Lastly and as I mentioned earlier, long-form stories are yet to be created, but let’s not wait. Studios should define their strategy now. Invest, try and don’t be afraid of mistakes. It is a learning process, and we are here to help!